Another remake of an Atari classic. 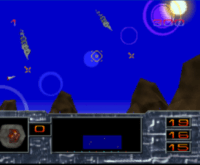 Shoot down enemy missiles and save cities in three different modes. 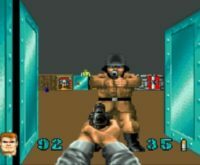 id updated Wolfenstein for all the good little consoles in 1994, and the Jaguar got the best version of the bunch.